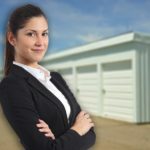 Selling a Self Storage Facility? in the Northeast and Mid-Atlantic States. Ready to Sell Your Storage Facility? IRE has the most experienced self storage brokerage team in the industry. We assist you in understanding the advantages of selling your facility and timing the market to get the highest possible return on your investment. 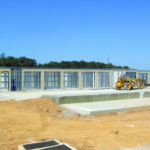 Looking to Buy a Storage Facility? As a buyer, you need access to properties for sale that are correctly valued. 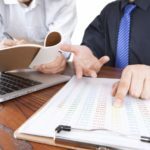 Our Offering Memorandums contain all the information you need to make an educated buying decision. We are known as a trusted resource in the industry. Need Help With Your Storage Facility? Our team has invaluable experience operating, managing and building self storage properties. We can advise you on tactics to increase revenue and decrease expenses, resulting in the highest sales price. Interested in a Feasibility Study? If a feasibility study or an unbiased third-party verification is what you need, talk to the professionals you can trust. Since our inception in 1998, we have specialized solely in the self storage industry. In fact, we are one of the very few companies in the United States who can offer you a plethora of brokerage and feasibility services, as well as decades of experience in self storage construction, development and property management. Our brokerage team handles transactions for buyers and sellers encompassing single properties to multi-million dollar portfolios. Over the years, customers and clients have profited greatly from the guidance and advice of our knowledgeable professionals who are actively involved and well-versed in all aspects of the self storage business. From our offices in Pennsylvania, Virginia and Connecticut, we serve the self storage needs of our clients in the Mid-Atlantic and Northeast States.